This bassless version is a special request - Enjoy! 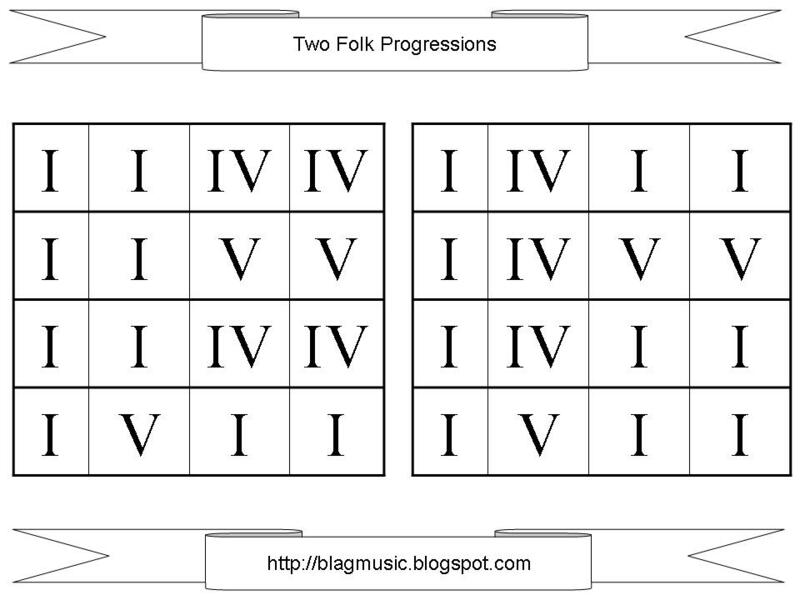 My first thought is "should I even be comparing the two instruments as they are so different?" 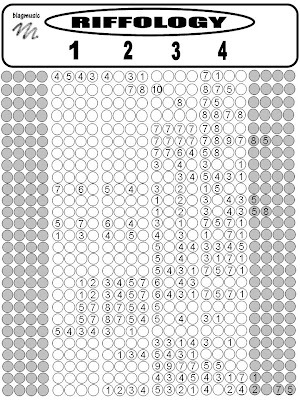 but it's something that I'll enjoy doing on paper. I may do a full rant on this one day as I really feel that casio have shown that they have the technology to make an amazing workstation. 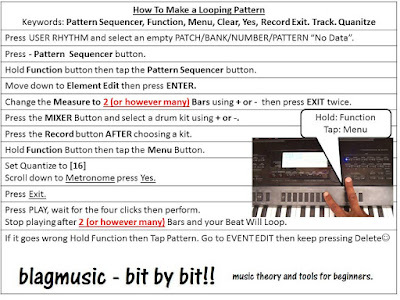 In short - the fact that you can create a 16 Bar loop on the CTK-7000 is amazing but you are limited to two drum tracks and the quantize is either straight 16s or triplets (16T). 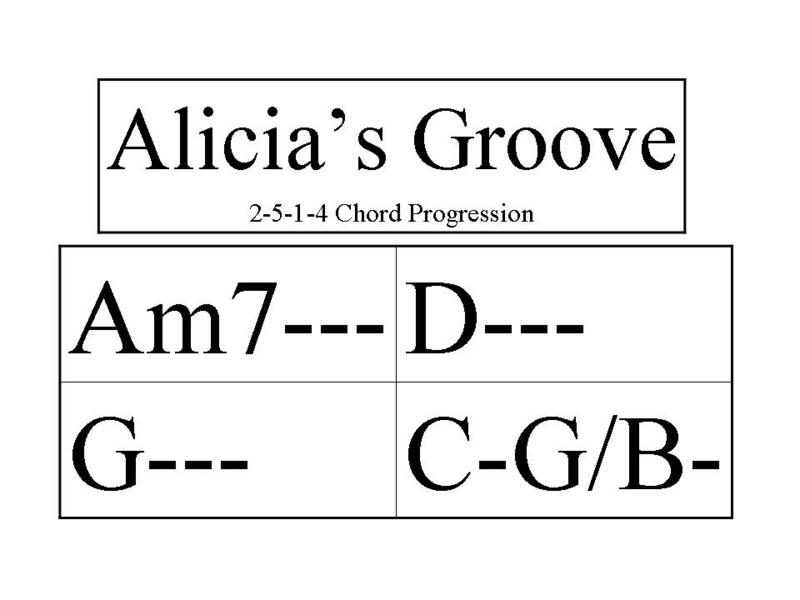 With the XW-G1 you can have more drum tracks and apply the % of groove that you prefer. 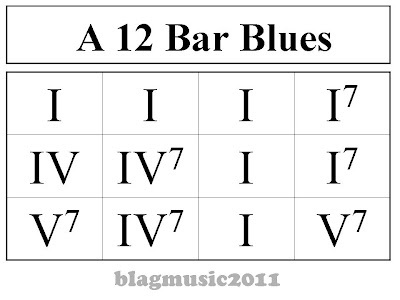 The problem lies in that you have to focus on one bar at a time and have to then chain the bars togther to create a longer groove. At the moment I prefer the XW-G1 over the CTK-7000 due to the fact I am obsessed with being able to record different sounds without stopping (it's a shame that all the sounds are merged into one signal and not separate tracks). The last comment would have to be the synthesis feautures of the G1. 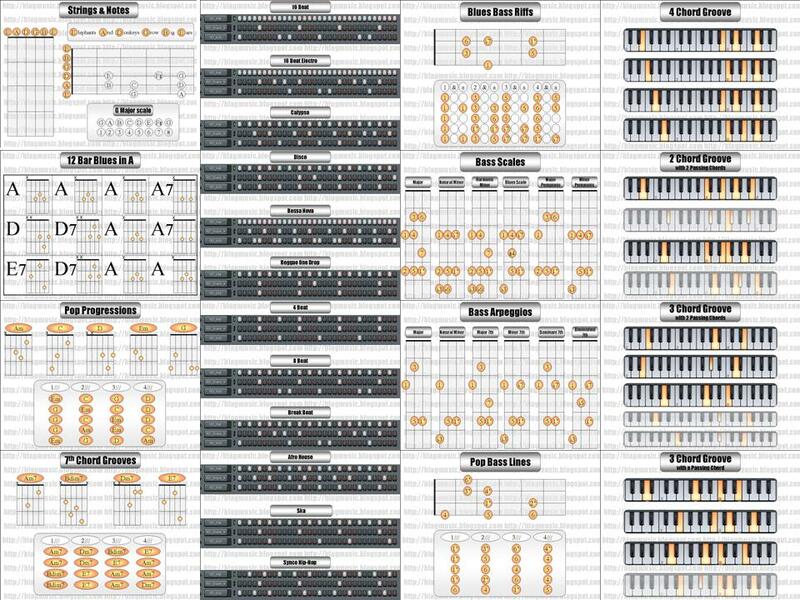 The fact that you ca program, save and sample an 808 Boom on such a cheap keyboard is great to me. Thanks to https://www.youtube.com/user/MioMillioni for the question. 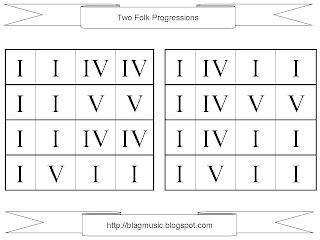 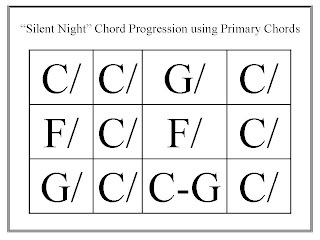 This post is more of a personal reminder to help me with conversations when faced with beginner musicians rather than a worksheet for learners. 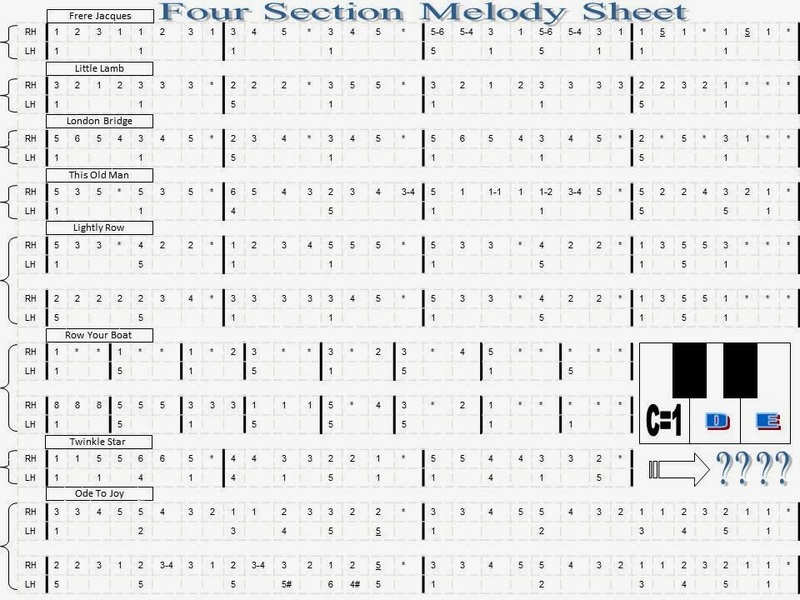 It doesn't zoom very well - If it's helpful to anyone else then that's great! 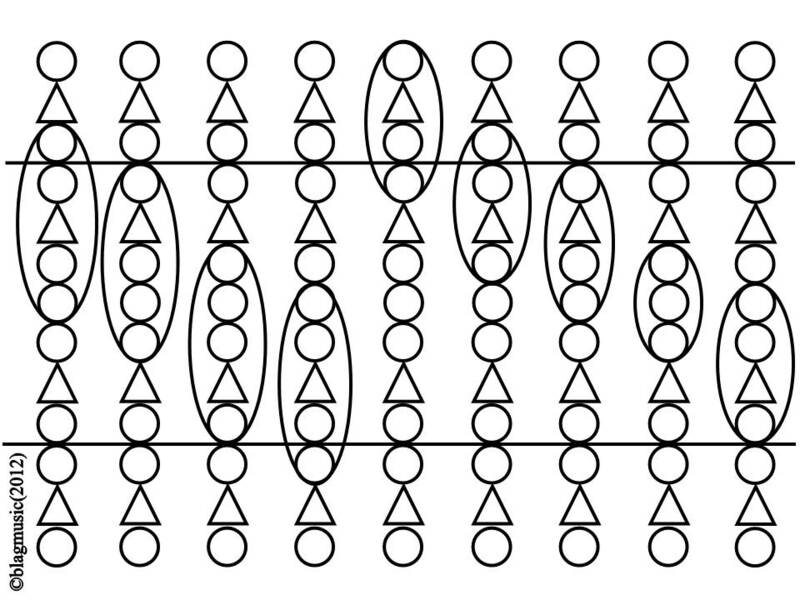 Circle - Triangle - Square - Cross or 1-5-6-4 with C=1. 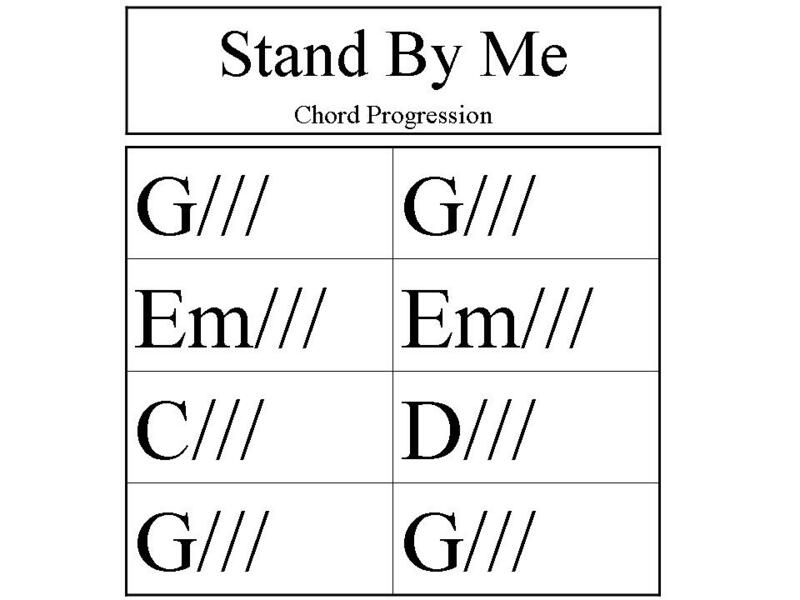 I would consider this the ultimate Chord Progression for writing a Pop Song. 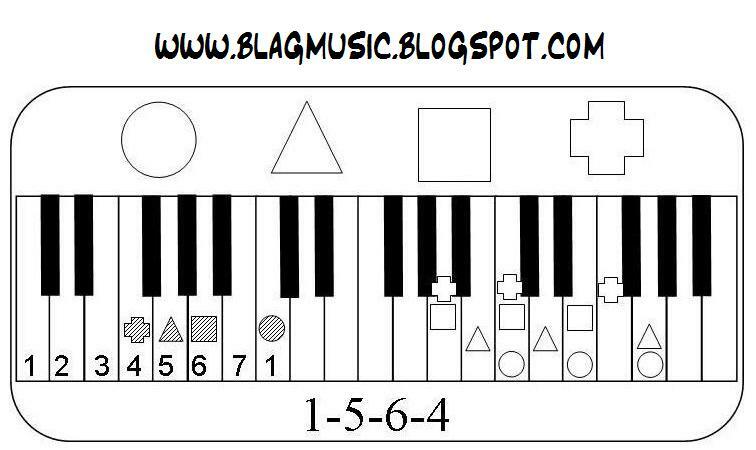 Although it's not rocket science - I consider this image as my gift to the world. 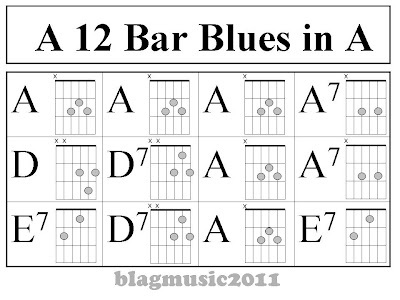 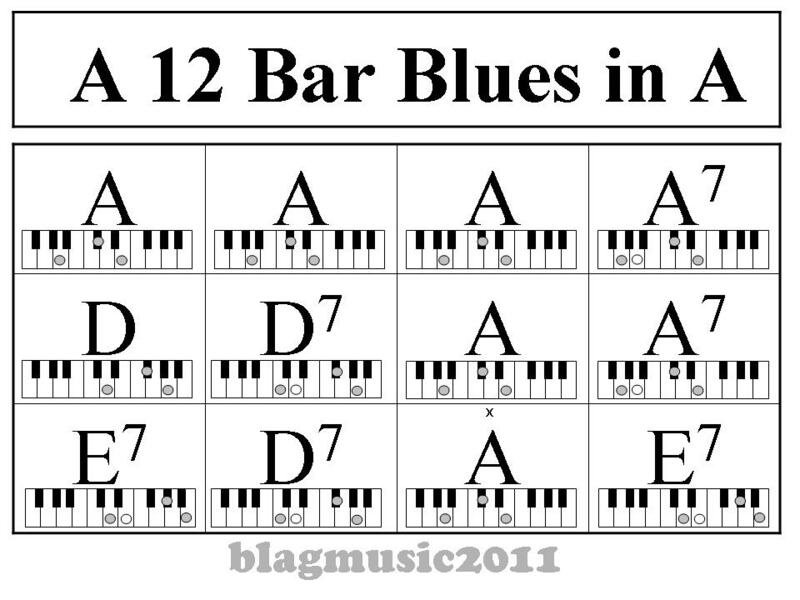 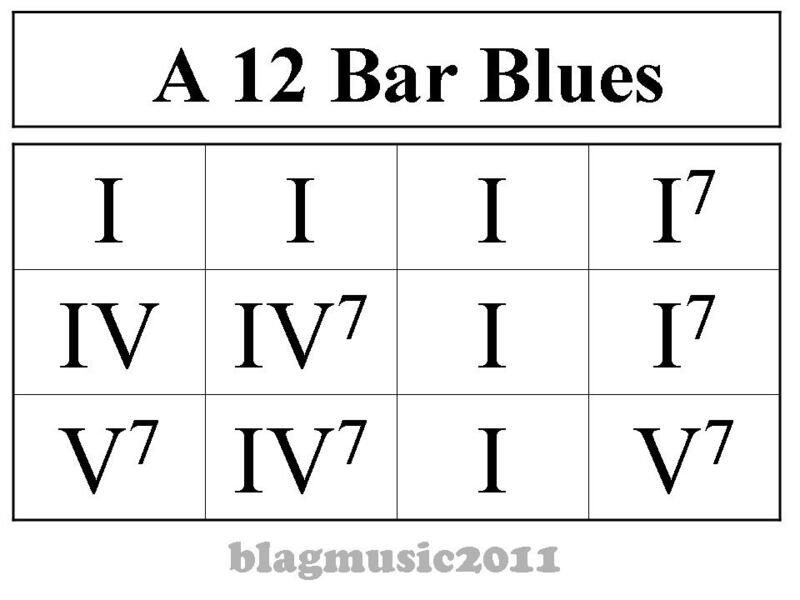 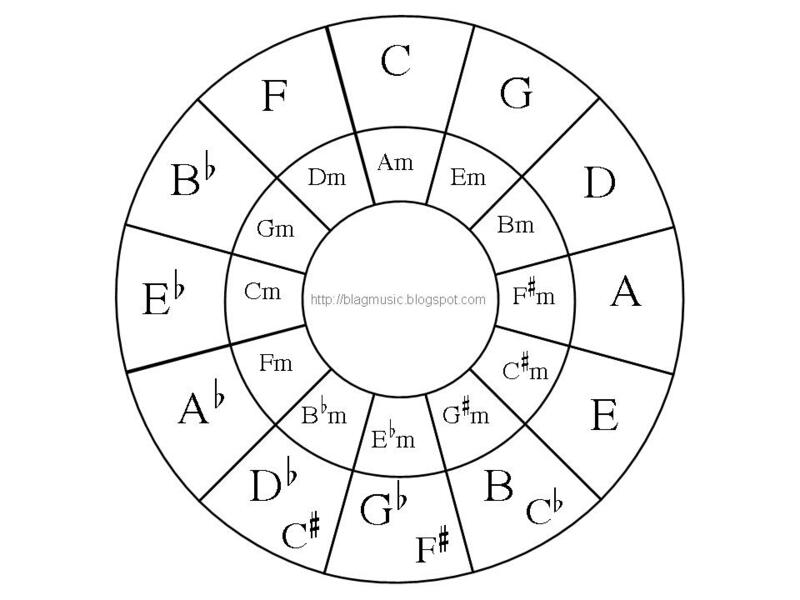 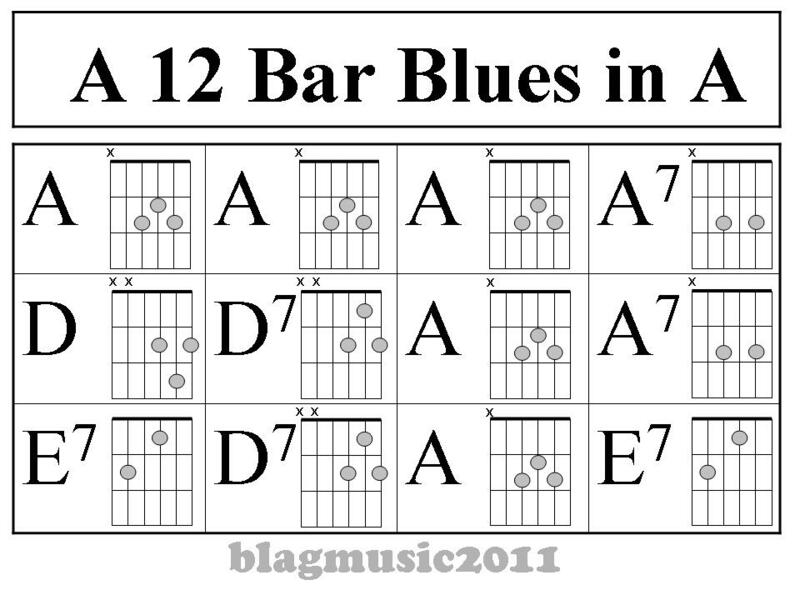 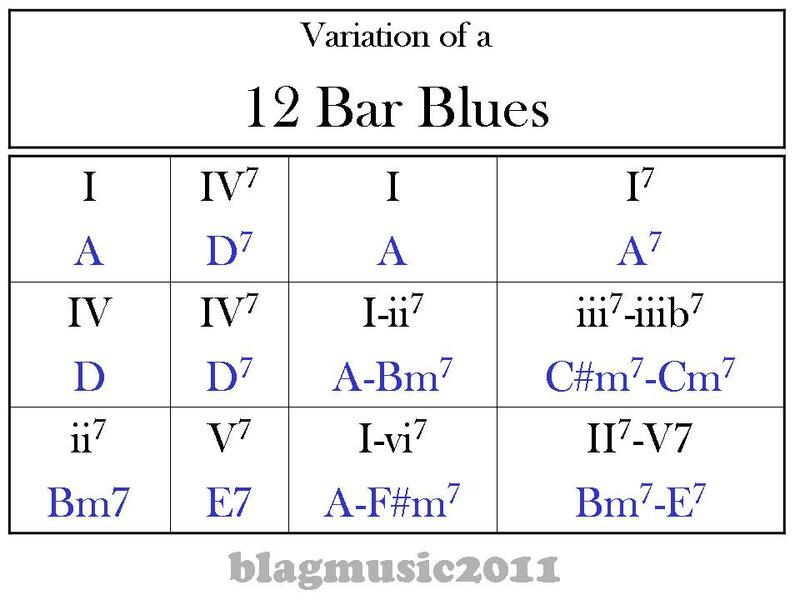 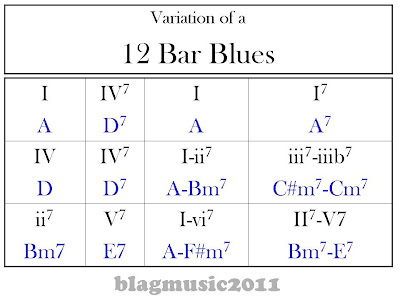 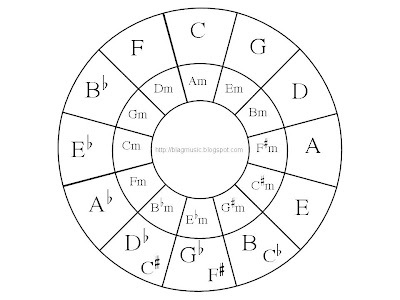 Here is a variation of a 12 Bar Blues. 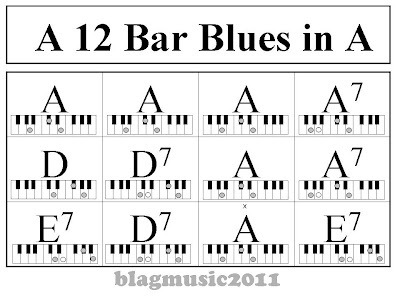 A 12 Bar Blues Pattern shown in the key of A with chord diagrams. 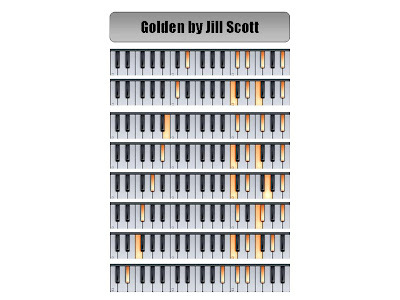 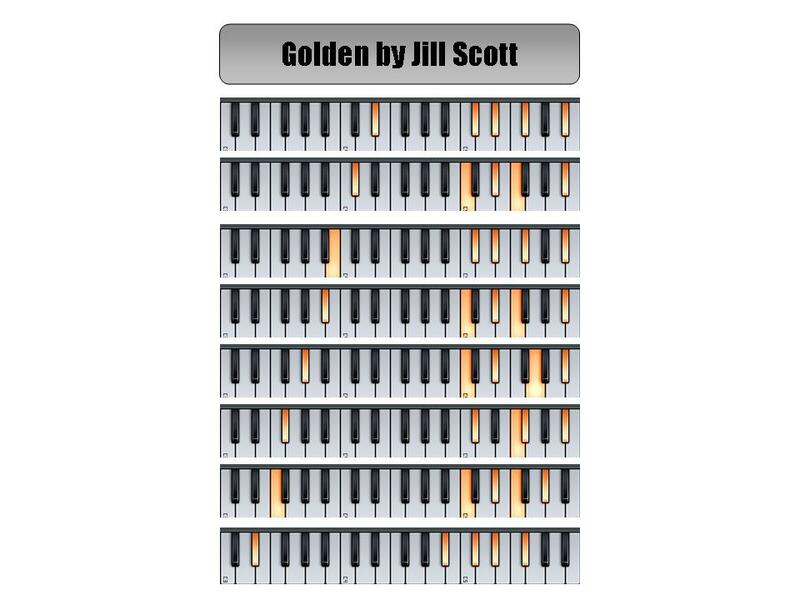 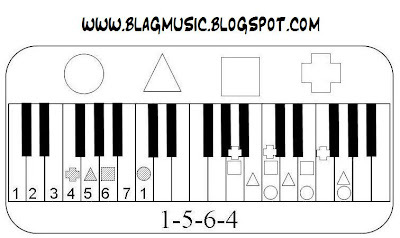 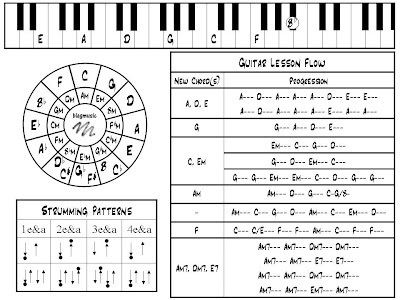 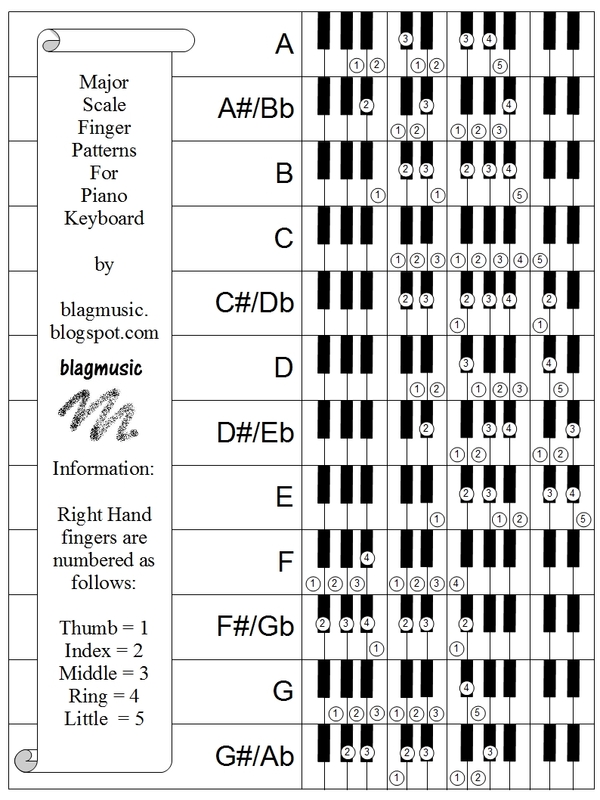 Here is a sheet that shows the Right Hand finger patterns for playing the Major scale in every key on the Piano/Keyboard. 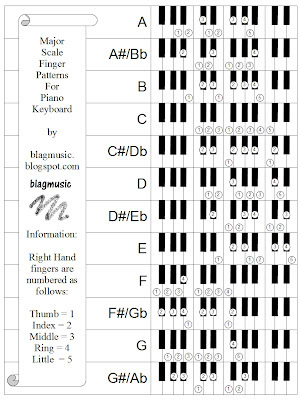 Double click the image for a larger version then right click & save as to download for printing. 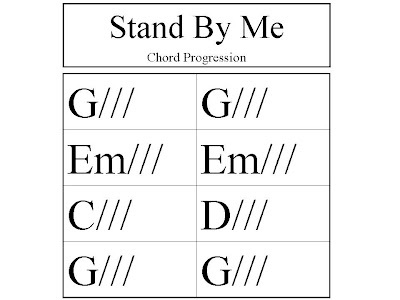 I selected these for my drum students who are taking the rock school qualification. 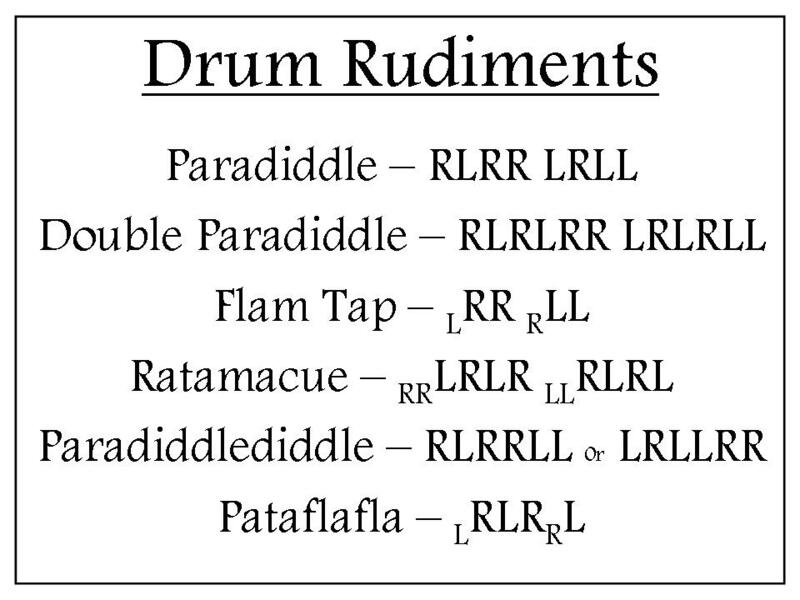 My favourite site for learning rudiments is here. 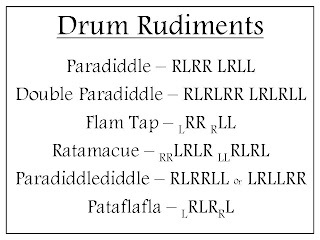 More info on rudiments can be found here. 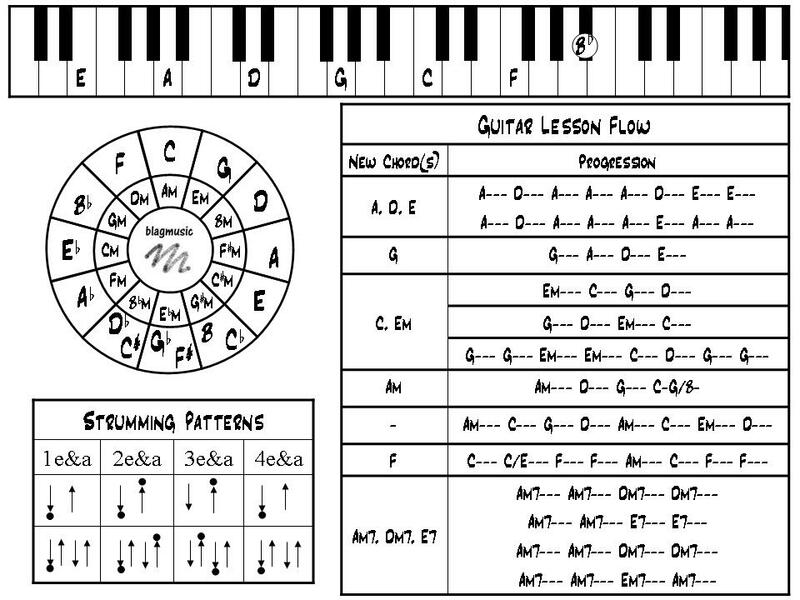 The audio to this video was made with classroom instruments shown in the picture. 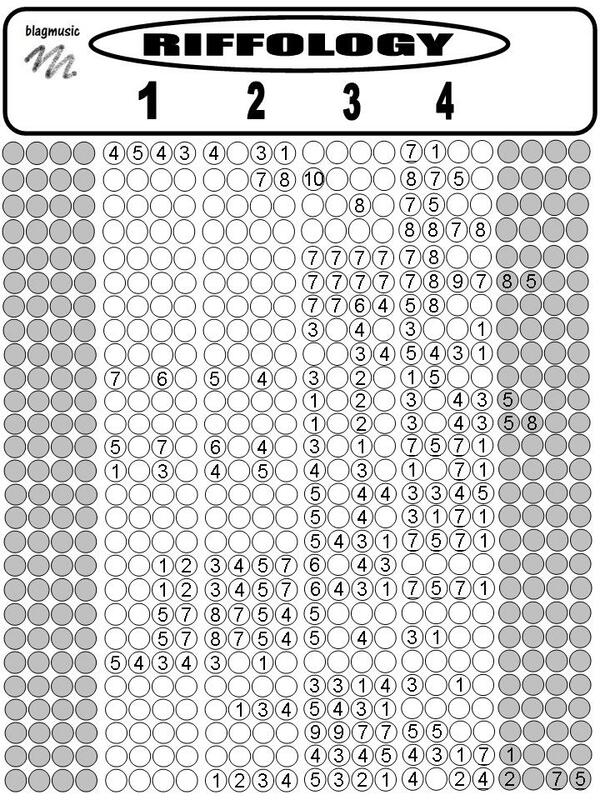 The piece grows to a climax with additional layers being added between each drum-break. 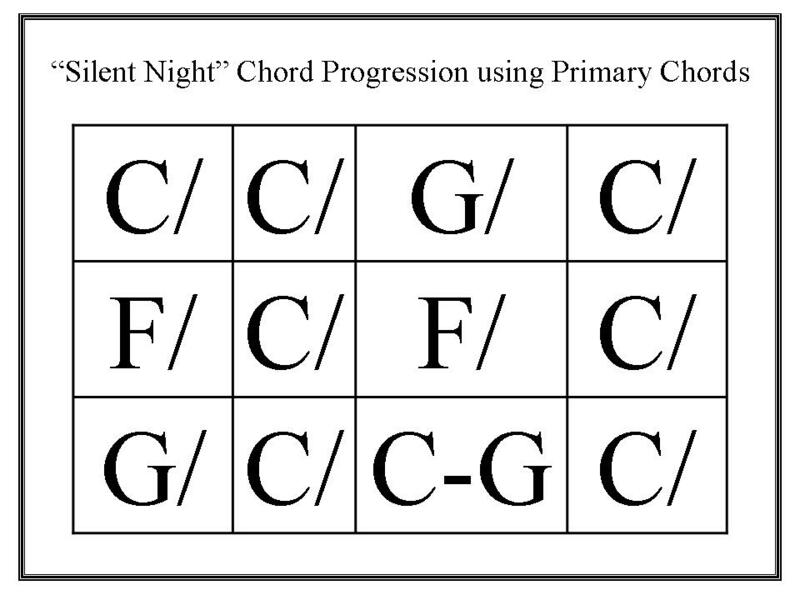 This was my attempt to make the outcome more attainable by creating an example using the same instruments that they have access to. 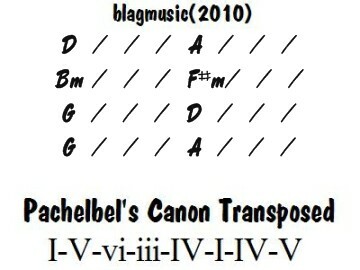 The chord progression from Pachelbel's Canon has been used as a foundation for many songs and improvisations for years. 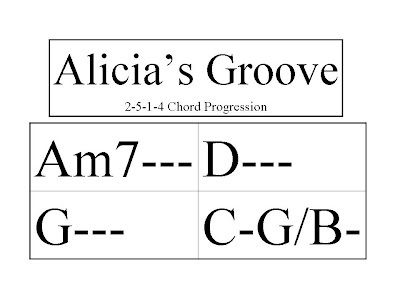 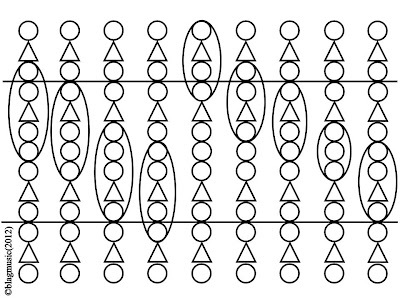 This picture below shows the progression in D.
This picture below shows the progression in C.
Click Here for a video of this progression in every key. 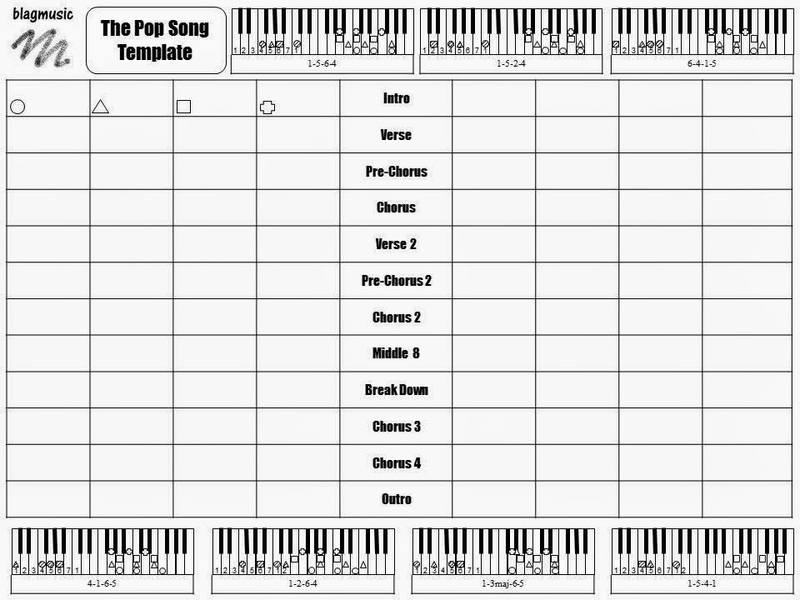 Here are some tools for vocalists to use when warming up - Enjoy!